Each of our different roofing services in Barrie, ON is complemented by an unparalleled level of customer service and quality. Roof Repairs—If your roof is leaking or sustained significant damage in a storm, we can help. 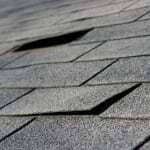 We will do everything we can to get your roof fixed quickly and affordably. Roof Replacements—The roof on your home wasn’t designed to last forever. If it’s time to replace your roof, we can take care of the entire replacement process from start to finish. Roof Installations—During the construction of a new home, it’s essential that the roof on the property is installed correctly. Thanks to our experience in the roofing industry, you can rest assured that we will install your new roof properly. We perform roofing repairs and replacements on residential and commercial properties in the Barrie area. 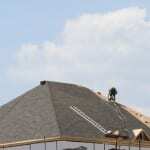 It’s important to choose a qualified and insured roofing contractor. Each of our different roofing services is complemented by an unparalleled level of customer service and quality. We care about the future integrity of your roof and will make sure that it is repaired or installed properly before we leave your property. We are also fully insured with the WSIB and are accredited by the Better Business Bureau. At Slippery Slope Roofing, we are confident that you will be more than satisfied turning all of your roofing needs over to us. To find out more about the different roofing services we provide, contact us today. At Slippery Slope Roofing, we offer high-quality roofing services in Barrie, Orillia, Bradford, Alliston, Newmarket, Cookstown, Beeton, Innisfil, Angus, Collingwood, Wasaga Beach, Oro-Medonte, Midland, New Tecumseth, Clearview, Bradford, Essa, Stayner, Springwater, and surrounding areas of Ontario.